And much more worrying messages. When you have a problem with your fridge, no matter how little it is, it can negatively impact the food you have stocked in it; for this reason, you may end up counting losses or going hungry. We know this, and this is why we are dedicated to offering swift, dependable, and highly economical fridge repair services. Here are a few of the most common causes of fridge issues that we have figured out. Thermostat failure- when the thermostat or the cold control stops working, it causes inefficiency in cooling; for this reason, the typical performance of the appliance will be highly jeopardized. Overload- your refrigerator has a specific capacity. If you stock items beyond this capacity, the compressor will not completely run; for this reason, triggering the failure of the entire system. Drainage stoppage- when you see water pooling at the bottom of your fridge, the most common culprit is a drain stoppage. This is a concern that our service technicians can resolve in minutes. Relay failure- when this happens, the compressor will partly or totally fail, and cooling will not take place. To us, it doesn’t matter what has caused the issue with your fridge. We are equipped with the current innovation that assists us to detect the cause of the problem in your appliance, determine the series of repair choices available, and choose one that matches your needs and your spending plan. The reason why we have won many awards for many years is that our services are complete, and we shall never refer you to another professional because an issue has become too complicated for us to fix. If other service providers have informed you that the issue with your fridge is too big to resolve, bring it to us, and we shall do what we can to fix it. When the repair expense will be more than the cost of replacement (though this is highly unlikely). We are a refrigerator repair specialist who takes client interests before our own. Therefore, we will not take your fridge for a week, and try to fix it if the issue cannot be repaired. Remember, we will not charge you for a service we haven’t provided. For that reason, when we recommend you to replace, we shall not charge you a dime. The advice comes free of charge! A refrigerator is one appliance that gets defective at its own time. It does not give you a warning. You awaken in the early morning to get something for breakfast, and when you open it, you are invited by a nasty odor. 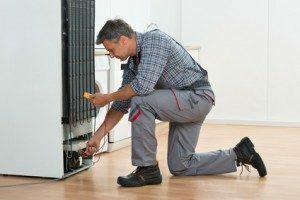 We understand that you don’t have money you had reserved for fridge repair, and this is the reason why we present the most competitive pricing technique in the market. When we examine your issue, we shall discuss it with you. Since we have a range of repair alternatives for every single problem, we shall be able to offer you a complimentary quote that conforms to your spending plan. Searching for a fridge repair professional who will offer you highly tailored solutions? Get your phone and call us, or request a callback. We shall provide aid in less than 24 Hrs.